As I’ve said before, the technical side of creating a new social network is relatively easy – and nowadays with cloud computing you have fast, cost-effective access to the resources you need to scale it in line with demand. But how do you create the demand – for your social network or any other service in today’s complex and fast-moving world? Essentially you rely on the network effect – the fact that the more people use a service, the more valuable it becomes to each user. 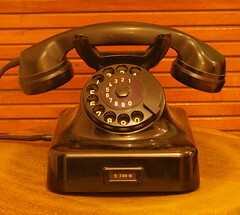 A classic example is the telephone. If one person is connected, it is worthless, but add more users and the positive effects increase dramatically – you actually have someone to call. It can also drive lock-in – if 80% of businesses use Microsoft Office there are compatibility issues for those that don’t, but who want to share documents with them. Social networks are a classic example of the network effect in action – the bigger Facebook gets, the more people are on it who you know and supposedly want to communicate with. WhatsApp is another. It has built a base of 450 million users – 70% of whom are active on a daily basis. And as it allows free texts to be sent between users (and doesn’t cost to join for the first year), why wouldn’t you sign up to message your friends? No wonder it is predicted to hit the billion user mark in the relatively near future. Obviously people have to know about your network or service, but traditional PR and marketing can only take you so far. What you need is people to recommend it to their friends, so start by researching and targeting the nodes of networks (i.e. those with lots of connections). If they join then their followers will as well. Approach these people and maybe even make them brand ambassadors to get them onside. In open markets there is no point trying to simply copy what is already out there – if people are already using a service, the alternative has to be different or substantially better, if they are going to join. What issues/problems do people have that you can solve? In the case of WhatsApp it is removing the cost of sending text messages, so there is a clear advantage of moving to the service. An obvious one, but if people log on and have to navigate through a maze of functions when they join, they are going to be put off. From registration to ongoing use, make things simple for people. And you have to understand and appeal to a mainstream audience – test it out on real people, rather than early adopters and fellow geeks. An intuitive user experience and comprehensive online support, including video and how to guides are a must if you are to grow. Put it where people will use it – on their mobile devices as well as PCs. And the basic package has to be free if you want to recruit major numbers of people. Just getting people to join is the easy part – network effect relies on them actively using the service. LinkedIn had this problem a few years back. Everyone had joined, but no-one was logging on, unless they were actively looking for a job. It changed this by adding in compelling content that aims to drive you back to the site – from the thoughts of business leaders to seeing what your peers are doing. You need to create reasons that drive people back to your site on a daily or even more frequent basis if you are going to build a solid user base. When it comes to tech and the web, you need to think global. Does your proposition work in Delhi as well as Derby? The wider the target market, the bigger the potential user base, provided you make it appealing to a worldwide audience. Even if your site is initially just in English, the user experience has to be understandable by non-native speakers. As things grow you should quickly add other languages, dependent on demand. Nothing stands still – since its acquisition, CEO Jan Koum has announced that WhatsApp will offer voice calls on its platform, putting it in direct competition with Skype and traditional telecoms companies. You need to add new services and functions to both keep momentum going, ensure users return regularly and to recruit new ones. The success of WhatsApp demonstrates it is less about the technology, and more about generating network effect if you want to attract a lucrative exit. Is it worth $19 billion? If it can continue its growth, introduce new paying services and bolster Facebook’s own platform it might just be. Everyone in business today has a plethora of communication channels to choose from, split between analogue (face to face, phone) and digital (email, social media, text, web). But is it a good thing? As a member of Generation X (roughly defined as born between the mid 1960s and early 1980s) when I started work in public relations the only ‘digital’ communication was the letter (and extreme cases of urgency the fax). So analogue channels were pretty much the sole way of interacting with colleagues, talking to clients and pitching to the press. That meant that you had to develop verbal communication strengths such as being able to respond quickly to questions, give succinct answers and carry a conversation. And PR was typical of all professions at the time – we were forced to speak to people (even if it was scary) and consequently got reasonably good at it. But this has changed with the entry into the workplace of Generation Y. Weaned on new technology, these digital natives never had to learn to use email, social media or text as new channels – as far as they are concerned they’ve always been there. Lots of people I know comment on how much quieter today’s offices are as people are simply not on the telephone. Which brings me to my issue. At the risk of sounding old, Generation Y need to start picking up the phone rather than hiding behind email and social media. It is very easy to craft a wonderful email, hit send and believe the job is done. Research quoted in Fresh Business Thinking found that 1 in 20 18-24 year olds is terrified of using the phone in work – and I reckon that’s a gross underestimate. The survey also found that 40% of 18-24 year olds were made nervous by telephone communication, against 28% of the total workforce. Most people get hundreds of emails every day and with the best will in the world it is easy to overlook one out of the many, whether deliberately or not. So the end result is that you don’t get a response and either have to re-send the email or try another channel. Even if everyone in the email conversation speaks the same language the chance of misinterpretation is high. Something that you can explain verbally can appear rude or just unclear, giving the wrong impression or leading to being ignored. With a phone call, or face to face, you need to think on your feet and try and build a rapport. You can change your tone, explain things and actually persuade someone by listening to what they are saying and responding accordingly. You simply can’t do that on email. While someone might come back with a question they are more likely to just hit delete and move to the next email. I’m not Luddite enough to suggest going back to the days of telephone only communication, but people need to understand that there are advantages and drawbacks to every channel and pick the right one for each particular task. That might be email, social media or text – but it is vital that today’s workforce doesn’t neglect the telephone or we’ll end up as a nation of business mutes rather than engaging communicators.